Ichiko's classmate and the after episode presenter of the anime. 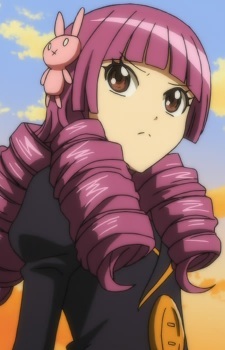 She's the sister of the Tennis Prince Shion Adenokouji. In the Manga, she's a Rich Girl in love with Tsuwabuki, and also a Ninja Stalker.